When time is aplenty, six hours or more, you may want to wallow in patience and allow the slow cooker to make the curry chicken for you. Other times, you feel like being more proactive and taking charge – taking pleasure in getting a wholesome dinner on the table in less than an hour. 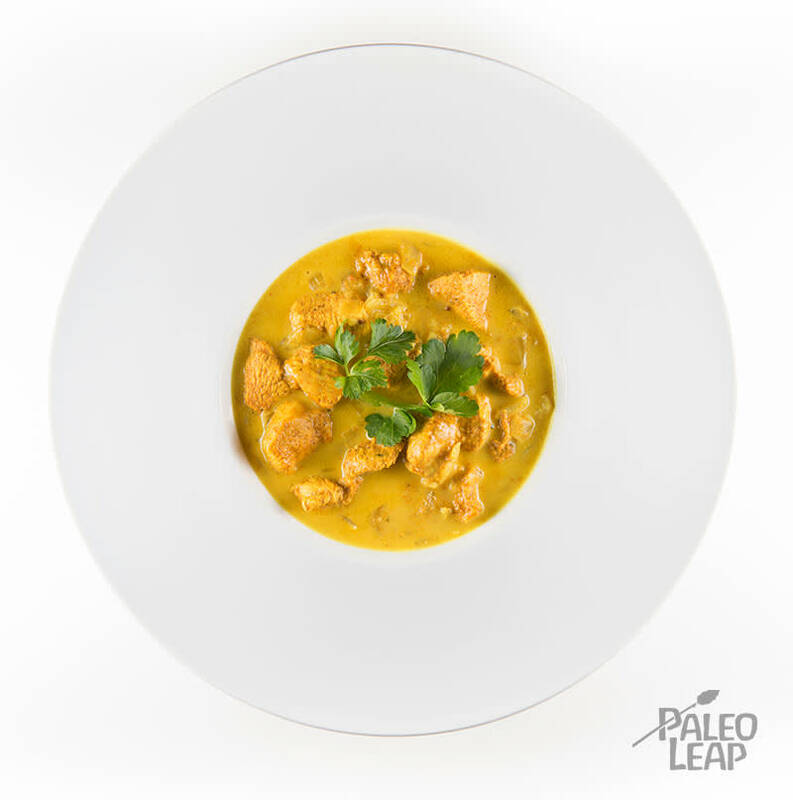 Chicken curry can be created with fast or slow actions. It can be prepared with kale and pineapple juice, or without. There is no right or wrong in making curried anything. That being said, let’s get started! In this curry version you will want to combine all the spices and lemon juice in a bowl, with just a touch of water. Add the chicken pieces, salt well, and let everything marinate for half an hour. At this point you could sit down and relax, read a magazine, plan your meals for the rest of the week, or toss together a creamy cucumber and chive salad. When the half hour is up, get ready with your trusty skillet – add the ghee, or coconut oil, mustard seeds, onion and garlic. Cook until translucent, then add the chicken, and so on. Don’t forget the can of full-fat coconut milk. With dinner well on the way, it will give you time to dream up new vacations and new beginnings, or at least to conjure up a new coconut curry chicken recipe for later this week. Combine the spices, lemon juice and water in a bowl. Season to taste and add the chicken pieces. Marinate at room temperature for 30 minutes. Place a large skillet over medium heat, add some ghee, the mustard seeds, garlic and onion. Cook for about 8 minutes. Add the chicken with spice mixture and cook for another 8 minutes. Add the coconut milk, season to taste and let everything simmer on a low heat for 10 to 12 minutes. Once the chicken is cooked through, serve.